Nathan is a super smart, almost comical boy looking for his best friend. Yes. Knows basic commands. And he is great at stay! Spend some time with Nathan and you’ll find yourself falling in love. While he can sometimes be scared of new people or places, he warms up quickly once he knows you are his friend. He’ll be bringing you one of his favorite toys to play with or trying to crawl into your lap for pets in no time. He does have a lot of energy and would enjoy a home who has time to play fetch with him or take him for long walks. He is also super smart and has learned many basic commands, is housebroken and really wants to please his people. He is treat and toy motivated and loves training. Nathan is also playful with other dogs but sometimes needs a slow intro. 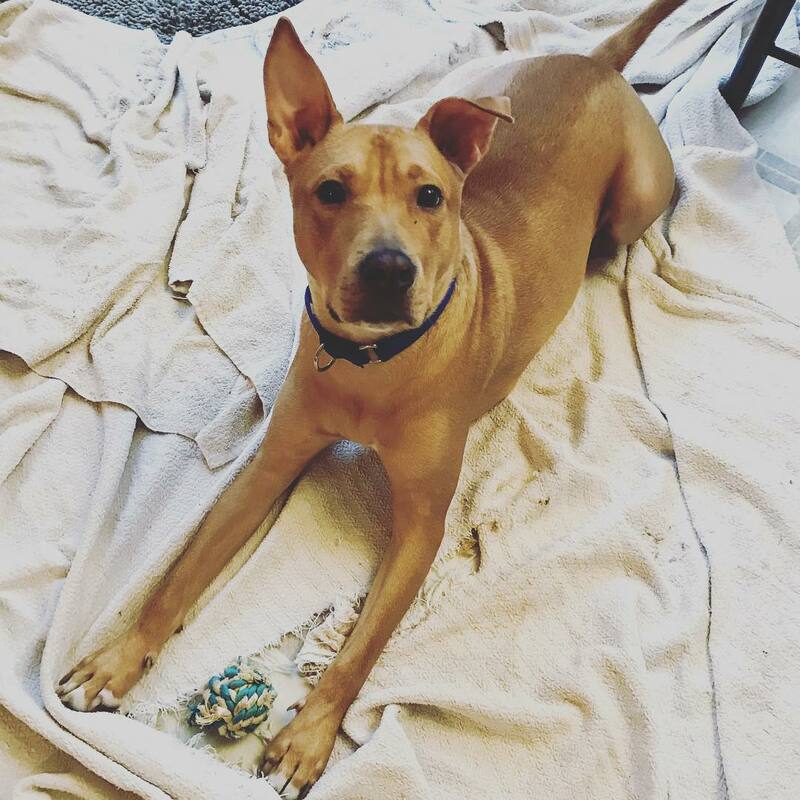 He is only two years old and has a high energy play style that some older or laid back dogs may not like. But generally once he is introduced properly, while he has lost of energy he also is very appropriate and play bows and rolls over on his back to make other dogs feel more comfortable. Nathan came to us from a local shelter. He had been brought in by police after he was taken from his previous owner who kept him crated 24 hours a day with no food and water. He was underweight and understandably afraid of everything. Nathan has come such a long way showing how strong, forgiving and resilient he is. His ideal home would be in a quiet suburban or rural area as sometimes new things or loud noises still scare him. He would do best in a home with teens and up. Nathan is neutered, vaccinated, microchipped and heartworm negative. He is around two years old.